Through the state of Delaware DHSS plans, we offer personal in-home assistance to our clients in need of aid. Meet with us now and let’s discuss what services you need from us. Let us help your relatives or friends! 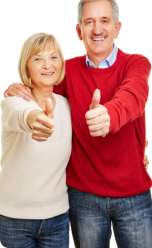 Refer them to us today. 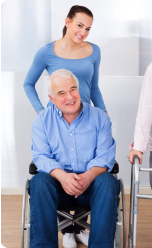 Do you require extra assistance at home due to a disability or handicap? If you prefer to stay at the comforts of your own residence while still being able to get day-to-day assistance, Dependable Community Home Care is here for you. Dependable Community Home Care is a home care non-medical agency fully committed to providing the assistance that you need at home. We understand that there are some patients who would rather stay put in a place where they are comfortable, rather than transfer to a care facility. Our dedicated and well-trained caregivers are here to offer day-to-day assistance that will surely improve your quality of life at home. However, they will also make sure that you do not lose your independence and that you are still able to move however you want; albeit, with a little assistance whenever you need it. So, give us a call today and get the services that you need. We are fully prepared to meet all of your assistance requests! To reach us, simply call 302-525-6911 or email us at dchcde@aol.com.